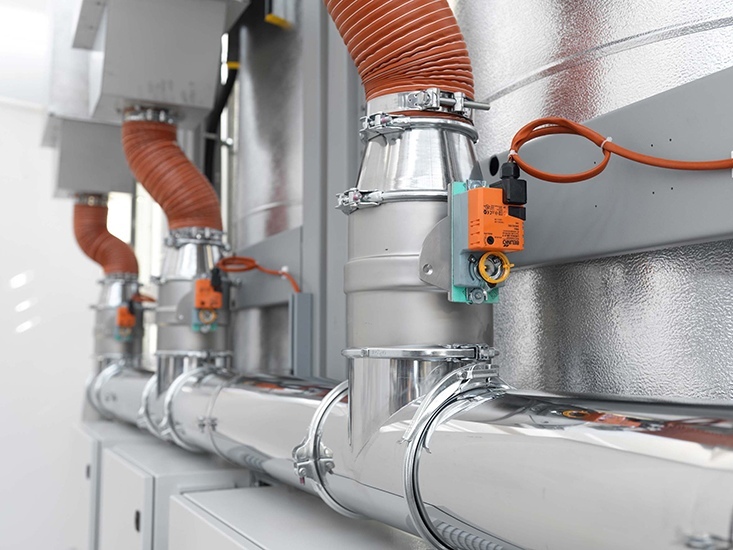 The resin dryers of the D series are equipped with TWIN TOWER technology and offer process airflow ranging from 600 m3/h up to 1500 m3/h with dew point up to -50 °C, so as to satisfy every requirement in production. 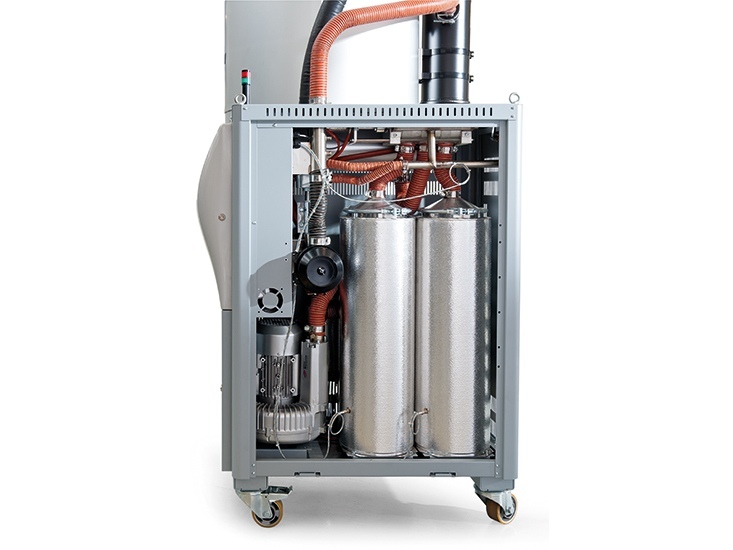 A perfect choice for treating hygroscopic polymers in small and medium productions. • Microprocessor control with LCD display and easy programming (material can be selected from a database and consumption/h). • Configuration with single or multi-hopper. • Control of the regeneration cycle of temperature. 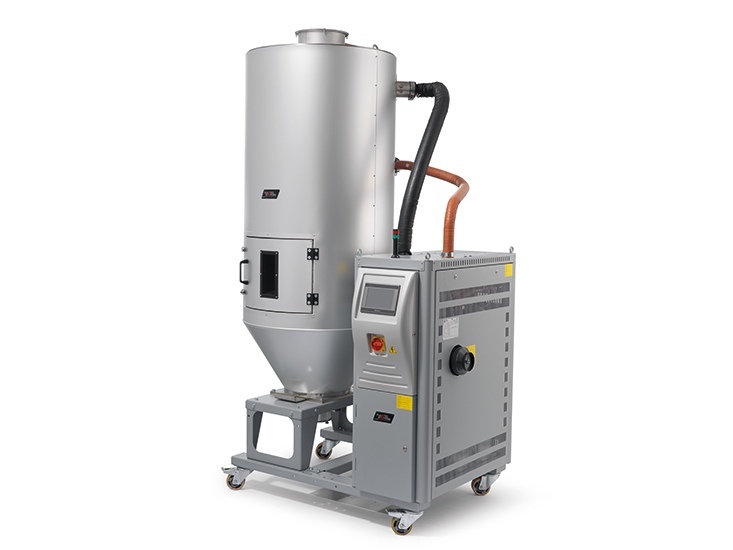 • Automatic shutdown to prevent the degradation of the granule. • Automatic valve for the control of cooling water. 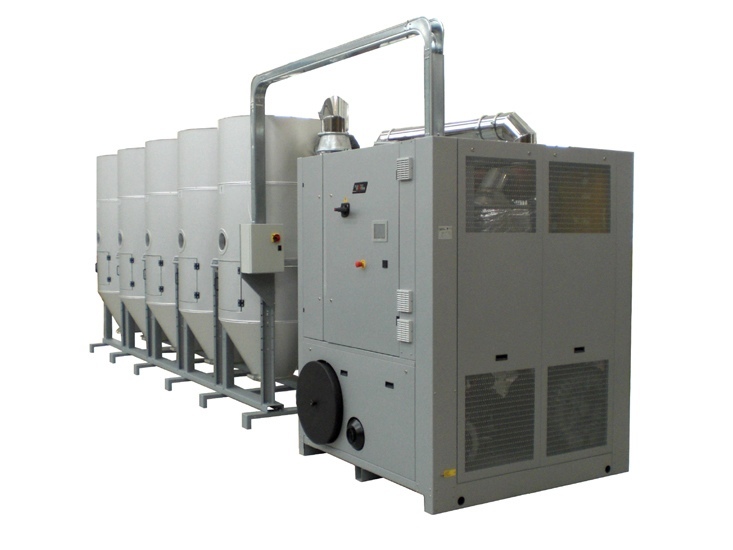 • Filters for protection of blowers and molecular sieves. • Process air flow control. PID control of the process temperature. The interface with a keyboard and multi-language digital display offers a constant monitoring of the machine and shows the main parameters such as temperature, dew point. 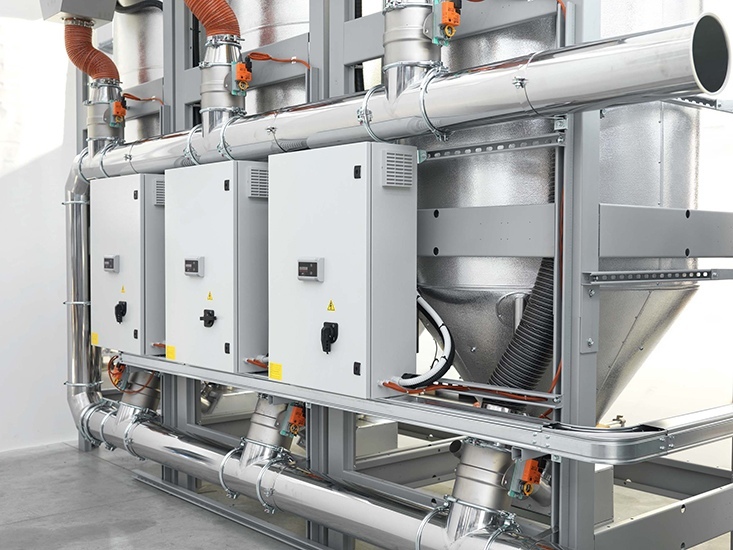 The microprocessor, according to the material and productions, optimizes the operating parameters (airflow rate and temperature) resulting in energy saving. It also prevents the degradation of the polymer.